I love circle lenses. I feel like they just complete my entire look, no matter where I'm going - whether it's to a fancy event or just a casual day out with a friend. I only recently got into wearing them last year and currently have three pairs that I use. One of them, my newest pair, was kindly sponsored by Kpop2.com, a Korea based website that sells over 300 kinds of lenses at very affordable prices. You can shop for lenses by color, brand, size, type or even browse a specific category which features lenses that retail for only $10. Didn't I say they were affordable? Plus if your order totals over $50, you get free shipping! Also yes, they do ship worldwide. My package arrived almost two weeks after they confirmed it was shipped out. The contents were in perfect condition thanks to how securely and properly they packaged everything! 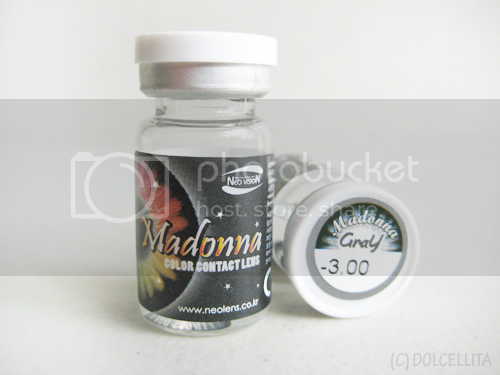 They asked me to choose which lenses I wanted so I decided on their Neo VisionMadonna Gray 13.5mm pair. My other two pairs are dark in color, so I wanted something lighter that would also stand out more. I also requested for them to add a grade of 3.00 for both lenses. My initial surprise with the lenses was actually the color. On the product page (link), it looks entirely different. The ones I received do have an underlying gray color, which is seen best under artificial light, but even so they're still more blue than gray. I'm not disappointed by the color at all. I love it actually! It just wasn't what I expected. What I love most is how the color changes slightly depending on the lighting. I got a lot of compliments wearing this pair too - mostly that the color really suits me because it looks like it could be my natural eye color. In terms of their size, the lens' diameters aren't much bigger than my actual irises so they don't make my eyes look dramatically larger. The only small complaint I have is that from a full-frontal view, you can see the black 'border' of the lenses are a little uneven with one being thicker than the other. Overall though, I'm really pleased with my first pair of bright colored lenses. They're very comfortable to wear and don't dry my eyes out as much as my other ones even if the water content is lesser. But in fairness, my eyes tend to become dry really easily so it doesn't matter what lenses I'm using. I'm also pleased by the number of compliments I got from wearing them so I'm already considering ordering this pair once they're no longer useable. Lastly, thank you Kpop2 for sending these! The color. 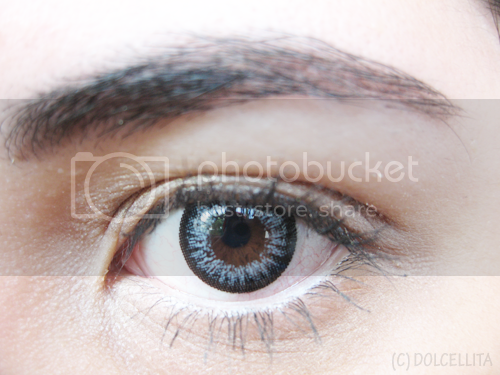 Even if I was expecting and hoping for lenses that were gray, I still love the blue shade. Non-irritating and doesn't dry my eyes right away. Wow, these make your eyes look super amazing! o__o Love the colour effect, but I do find it weird that the lens borders are uneven like that.., never seen anything like it! wonderful color! looks good on u! I found it strange too, but it's just a very minor issue so I'm not too bothered by it. These lenses really look great on you. I like how they blend in with your natural eye color. Me too. Sometimes simple is best when it comes to lenses! I have friends who've been wearing circle lenses for years and they haven't complained about any negative effects on their eyes. I wear lenses pretty much daily and I can say the same so far. I've also been wearing regular contact lenses since I was in high school though so my eyes are used to them. Of course it's a different story if your eyes are sensitive and I wouldn't recommend them either if that's the case! I think they look really creepy, and when I see people wearing them I can't look them in the eye. My eye doctor told me it is bad to wear them for everyday wear just as regular lenses... but it depends a lot on the brand new. I might try them just to see! Haha, thank you! I used to wear regular (clear) contact lenses, but now I either wear graded circle lenses or just my glasses. Me too! In the end it was a pleasant surprise. 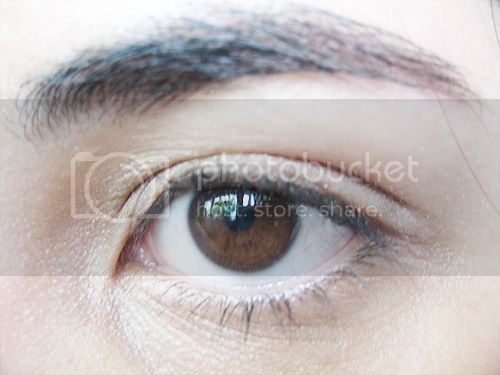 And yes, circle lenses never look natural close up anyway, haha. Thanks, Donah! :) I've been wearing contact lenses since I was 14 so I'm more than comfortable already with touching or poking my eye, haha. I used to be lazy with taking them off but now that my eyes easily become dry, I'm only too happy with removing them at the end of the day! Thanks, Donah! :) I've been wearing contact lenses since I was 14 so I'm more than comfortable already with touching or poking my eye, haha! I used to be lazy with taking them off but now that my eyes easily become dry, I'm only too happy with removing them at the end of the day! Wow -- these are beautiful on you. I had no idea that circle lenses even existed! Beautiful! 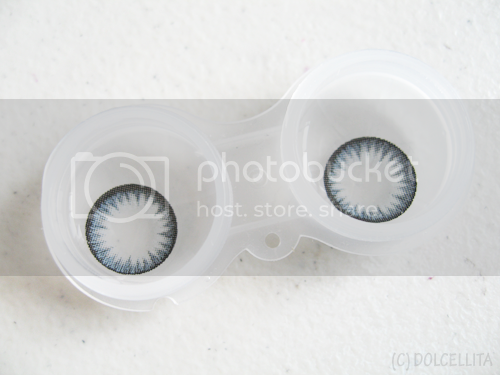 I dont like wearing lenses but those look really cool!!! first of all, I love your eyelashes! and the contact lens looks great on you too! Aw, that's a shame! I know I'd be really disappointed if I found out I couldn't wear circle lenses. But thank you! Thank you, Shomi! Hope she likes this review too. Thank you! They're definitely fun for me and I love switching up my look with them. Oh really cute lens sweetie! These are really cool, and I like the color! I have never tried circle lenses before, but I like wearing colored contacts. I am a new follower by the way :) I'm excited to read more from you in the future! @Aaliyah Thanks for following, Aaliyah! I've followed you back too.